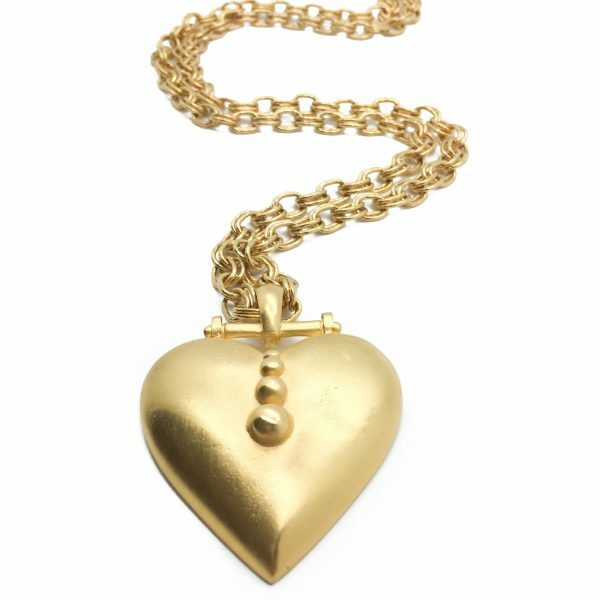 A dramatic and versatile Vintage Heart Necklace with a wonderfully ornate chain from the 1980s. 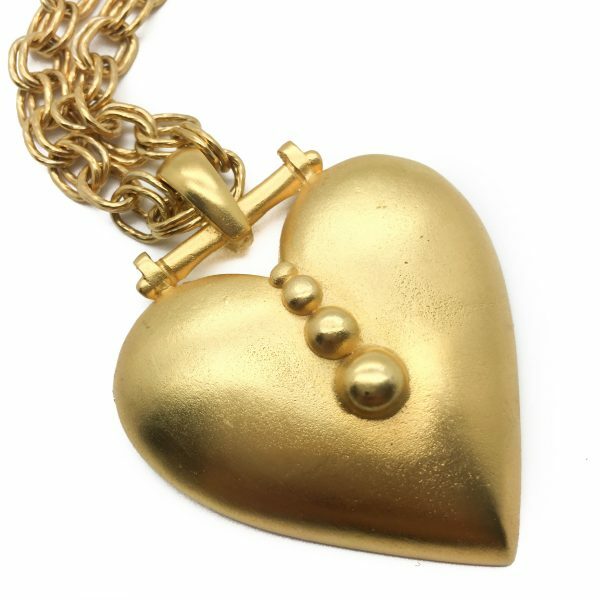 This statement Vintage Heart Necklace is in excellent vintage condition and incredibly wearable and versatile for today's and no doubt future fashion and styles. Wear it long or double it up for a shorter look. 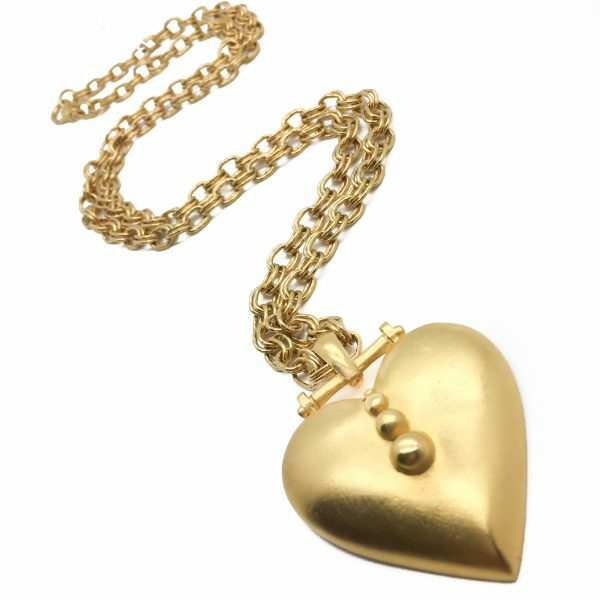 The chain on this Vintage Heart Necklace measures a fabulous approx. 96cm long and fastens with a large stylised lobster clasp. 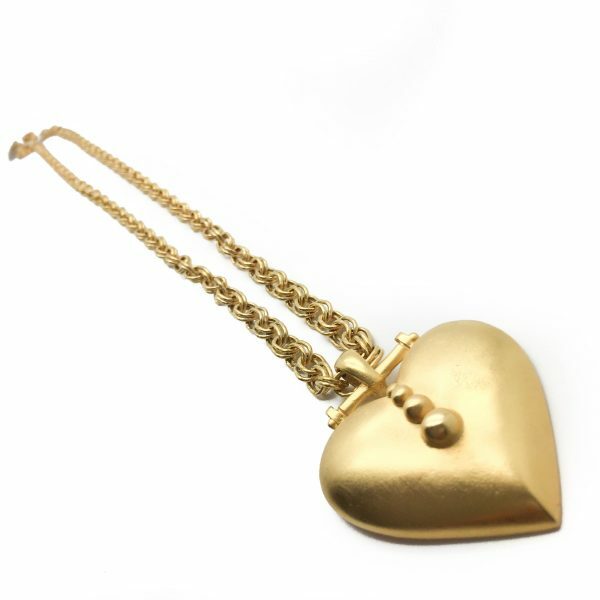 The heart pendant is a large and makes a stunning statement at approx. 6.5cm long by 5cm wide. 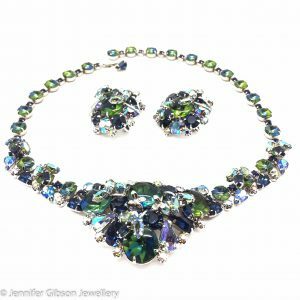 Whether you are a vintage jewellery addict or simply enjoy magnificent examples of vintage costume jewellery for a timeless fashion statement or heirloom, this is a really versatile and great looking piece that is bound to be admired and the finishing touch on many an outfit. 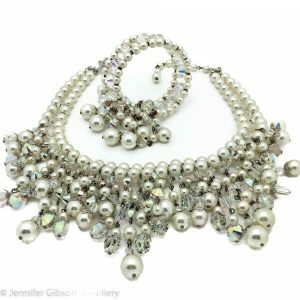 My aim is to find and present to you the best vintage costume jewellery pieces from anywhere in the world, so you can shop the best pieces with ease in our very own Jennifer Gibson Jewellery one stop shop and collection. Each piece is carefully chosen and curated and presented for its quality, style and design and of course absolute authenticity and in good condition. If you choose to buy from us, we commit to the item being as described. 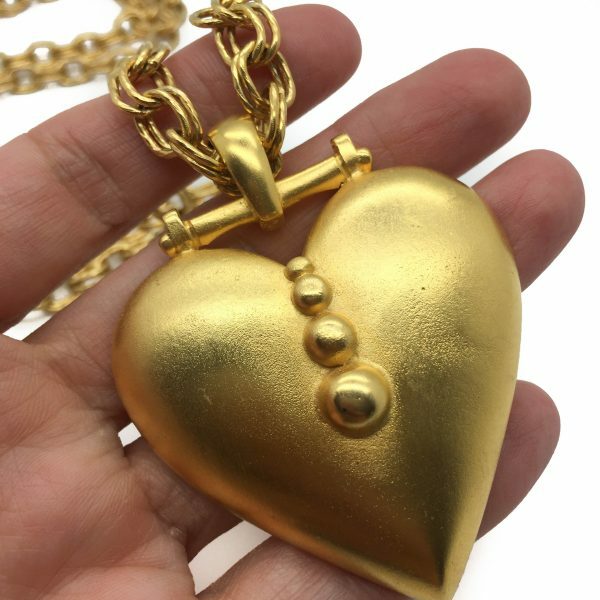 Your item will arrive beautifully packaged and presented, helping to preserve your one of a kind piece, for both you and future generations to enjoy. We also enclose a care card with your delivery to help you care for your piece of jewellery in the future. If you have any questions whatsoever, we are very happy to help and please don't hesitate to contact us. Please keep in mind that antique and vintage items are preloved and preworn and will typically show slight signs of wear or normal ageing. 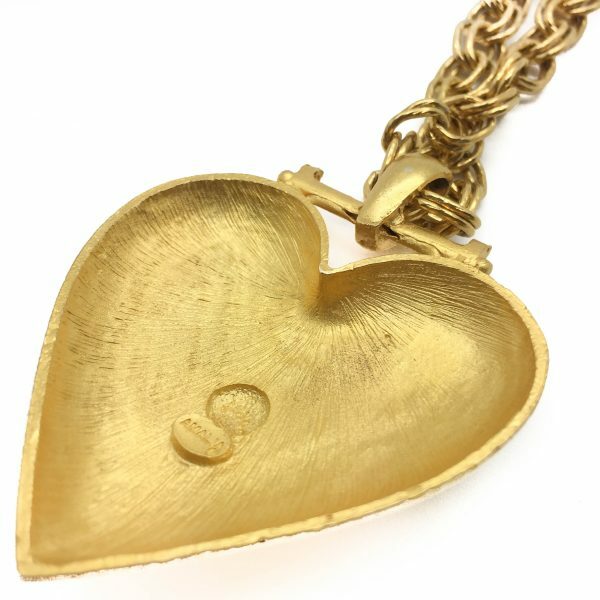 We do our utmost to point out in our descriptions any significant wear or fault with a piece and such condition will always be reflected in the price the piece is offered for. 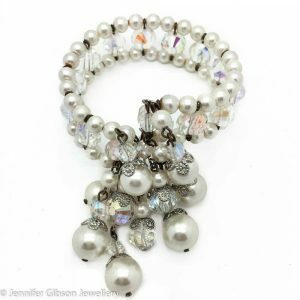 You can find out more about Jennifer Gibson Jewellery at our About Us Page. Thank you for visiting our Vintage Costume Jewellery shop.